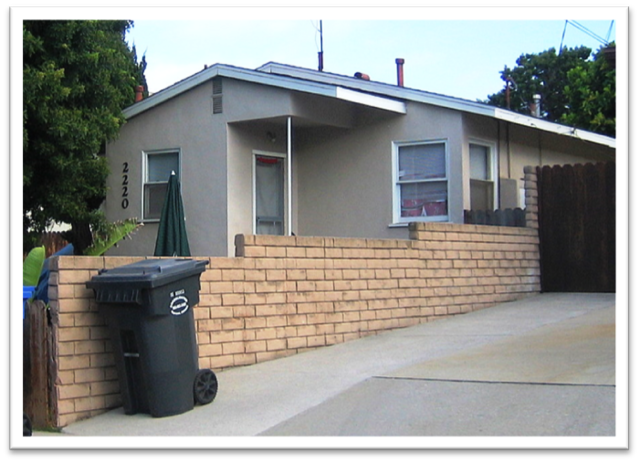 Lot Size: 7497 Square Ft.
Three Unit Complex in North Redondo on a 7,497 sq. ft. lot. The property is R3 zoned. No garages but large parking area on site. The 2 bedroom unit is located in the rearon the lot and has a Section 8 tenant. The 1 bedroom units are located in front.